Looking to get a new car but know your credit hasn’t quite got what it takes? No problem! There are still car loans for people with bad credit. Many people know they have ‘bad’ credit, but don’t know what ‘bad’ means for their possibilities. Below you will find 7 steps that you can take to get approved for a bad credit auto loan, despite having a damaged credit score. When it comes to knowing where your credit scores stand, it’s easy to assume the worst. But, don’t stop there. Use our complimentary credit score tool to help you work out what your score is. As a result, you’ll be able to begin your search knowing all the facts. Some lenders will have one glance at your record and immediately turn you down. Others may be more flexible and could see your record with a more positive outlook. Don’t give up hunting just because you’ve been turned down. We can meet your needs despite your subpar records. While this may seem unnecessary, it can actually work out in your favor. They can be another set of eyes and ears and help you work through loan terms should dubious terms appear. Many people get caught up in shopping for lower monthly payments. While this may seem good, paying off small balances over longer periods of time will cost you more in the long run. Instead, look to cut back on expenses. Try and go with a more expensive monthly payment that will allow you to pay off your full loan in less time. Non-essential services appear in lots of contracts for high-risk borrowers. Most of the time, these are goods you don’t need, and shouldn’t have to pay for. It’s never safe or profitable to base the loan on extended warranties, insurance, or aftermarket services. If the buyer doesn’t double check the final terms, this is called “yo-yo” sales. Days later, you could discover that your expected payments are higher. These sales are far more common among buyers with bad credit than ones with good credit. Be sure to confirm with the dealer on final terms before signing anything. Are you aware of the Car Salesmen Tricks To Avoid when shopping for a new car? Everyone deserves to have a reliable car at an affordable price. We can help you build a plan that will guarantee your approval and get you the car that you need. It’s time to regain your confidence and get you back your independence. Come up with, and put in place a credit repair strategy. By sticking to a plan, you can improve your credit score within a few months and potentially buy a car of your own. Make sure you focus on what you’d rather pay off first. Decide whether you’d like to pay off your small or larger accounts first. Whichever option you go for, put together a payment plan and commit to it. Keep up with current bills and repayments. Remember to pay your bills while paying off your debt. Make a monthly budget that incorporates both new and old debt and pay all lenders on time, every time. Explore credit building tools. A great, risk-free option to boost your credit score is using a secured credit card. This type of card allows you to set up an account with your own money to “borrow” from. You can make purchases with the card and the credit bureaus recognize your payments. Another great option if you rent your home or apartment is the service called Rental Kharma. For a small fee, Rental Kharma will report your rent payments to the bureaus. Your credit score will get a boost just for making rent payments on time. If you need a car loan ASAP, a buy here pay here loan may be a great option. You will be able to get approval for a buy here pay here loan if your income is satisfactory. Most lenders don’t even check your credit score! This is an easy and convenient way to get a loan without a cosigner. We offer buy here pay here loan approvals through an online application. The form takes 60 seconds to fill in and approval takes less than 2 minutes. Not only should you look at your credit report, but you must know your credit score. This way you’ll have the most recent information. To learn more about getting your credit score, contact us today. If you check what scores get what interest rates, you’ll be able to get an idea of what terms you will get. You should also check what monthly payments you will incur for your specific situation. Actually, there is no credit score low enough to not get a loan. 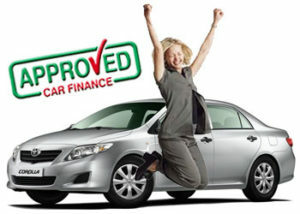 Different lenders accept car loans for people with bad credit in all different financial situations. Car buyers with low credit should save up for a down payment. Attempting to save 20% of the price of the car is a realistic goal for a new car. For a second-hand car, saving 11% would be enough. Choosing to make a larger down payment could give you better terms in the long run. Finally, for lower prices, it is worth looking into getting a used car. This can be especially helpful for consumers with a bad credit score. The interest rates are usually higher for used car loans. Car buyers should check pricing guides to make sure they know the true value of the car they want to buy. Whether you buy a new or used car, do your research to find out how reliable it is. Check how much your monthly payments will be and whether the numbers are realistic for you. Think long and hard before getting a cosigner. Remember that if you can’t make your payments, your cosigner will be stuck with them. Even though it is important for you to have the auto financing, it might not be worth it if it will ruin a relationship. 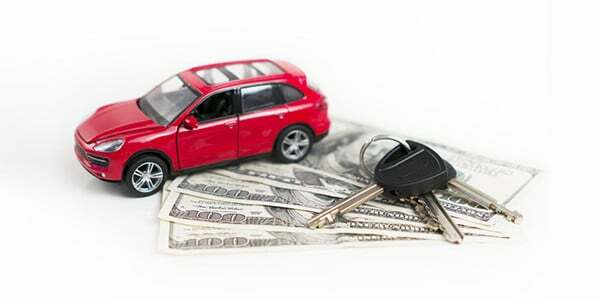 However you decide to secure your car loan, try and make a sizeable down payment. Some car loan providers will provide the option of zero down. This option is attractive, especially in an emergency situation. If you’re ready to secure a car loan for a used vehicle today, you’re in luck! Bad credit or good credit, we will guarantee you a car loan approval in 60 seconds or less and it’s free! While it would be great to pay for a new car in cash, that’s obviously not realistic for most people. Buying a car after an expired lease could work, but this method has its own drawbacks. 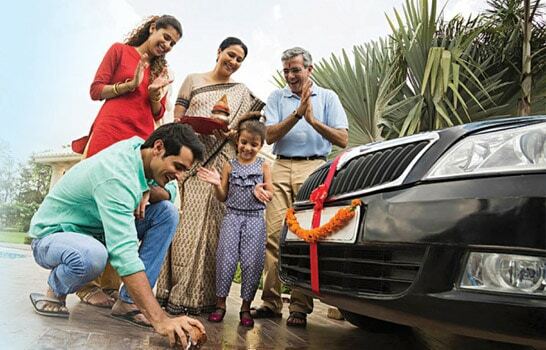 Below, we have highlighted 3 specific reasons why getting a car loan is the best method to buy a new car. With refinancing, most companies will loan you enough money to pay off your old loan. This means that you will have lower monthly payments. In turn, these lower payments mean you can put more money toward future payments. This will enable you to pay off your loan sooner with less interest. This opportunity is not available any other way. After having settled on a car loan, every car payment you make takes you one step closer to owning the car. With leasing, you can only rent the vehicle for a certain amount of time before its gone. At the end of the lease, you have the option to either return it or buy it. With a lease, you do not get any closer to owning a car. 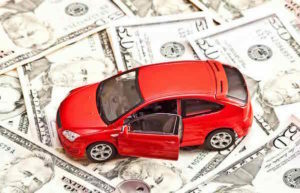 With a car loan, you will not be penalized for an early payoff. When you have a loan you can pay more to save money on interest rates. With an early payoff, you will improve your credit score. Consequently, you will be able to secure other loans with better terms in the future. People today believe they know everything they need to about buying a car. Although most of the information online is correct, there can be mistakes. This can cost you money in the long run. Car buying is an emotional decision. This emotional need can cause you to make irrational decisions. By doing your research beforehand you can avoid common mistakes many buyers make. When shopping for a car most buyers only think about the ticket price or final negotiated price. It is important to take into account all the other expenses associated with buying a car. Some of these include taxes and license fees. In many states, the taxes alone can add up to several thousand dollars. If you don’t factor in these fees, you may end up signing for a deal that is not in your budget. Buyers often invest all their money into their down payment. You will end up “upside down” on your loan which could take time to get out of. Making a down payment of 10 to 20 percent will help avoid burying yourself in your car loan. If you invest every cent in your down payment you could end up defaulting on your payments in the future. Most buyers let their guard down after they buy their car. But, a dealership makes the most money after the sale is complete. The lender takes over with high-interest rates and expensive extended warranties. It is important to continue bargaining even after the initial price is set. Buying a car is a huge decision. Making a brash or irrational decision will cost you money in the long run. Or worse, it could land you in more debt. Often, a sales pitch that says “the deal is only valid today” can seem too good to be true. In all honesty, it probably is. The deal isn’t going away and may even get better. Take 24 hours to think and shop around. If the deal is not there the next day, another one will come up. By not knowing exactly what you want, the power is in the salesperson’s hands. If you go car shopping with a plan you will be able to distinguish a good deal from an impulsive one. Make sure you write a list of the things you need and your budget and stick to it. Otherwise, the salesperson will try and sell you a car that suits them rather than you. Maybe you have planned your budget and know exactly how much you can spend each month. Don’t go shopping with that figure in mind. If you tell the salesperson you won’t have any room for negotiation. As a result, the salesperson is likely to come up with a deal that matches that budget even if it’s not worth it. We not only make the loan process easier for you with the help of our network but we listen to your requirements and find lenders that best suit you. By contacting us today, you could get approval in just a couple of minutes!